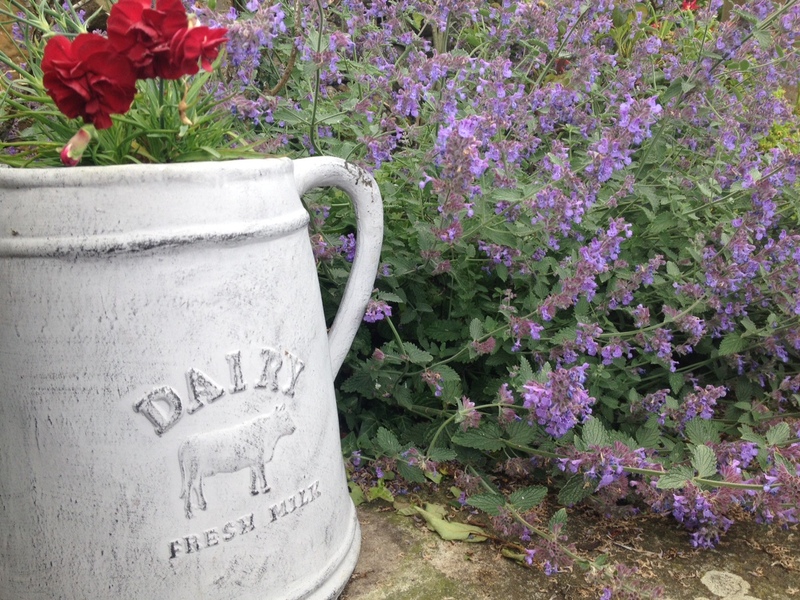 Nothing beats a weekend wander around a beautiful garden. Whether it’s a stately home, a National Trust property or a community growing space, I always find it the best form of inspiration, as well as an educational experience in different garden layouts, designs and exciting new plants and cultivars. That’s why I’m a big fan of Scotland’s Gardens – an initiative that was set up in 1931 to open private gardens to the public – all in the aid of charity. Scotland’s Gardens has a brilliant and very comprehensive website which contains details of gardens all over the country that you, as a member of the public, can visit. Some are open throughout the year, with others open on specific dates or days of the week, and a number by prior appointment only. Over the past two weekends I’ve had the joy of experiencing some very different Scottish gardens (one on the east coast, one in the west) through the Scheme, and I can’t recommend it enough. 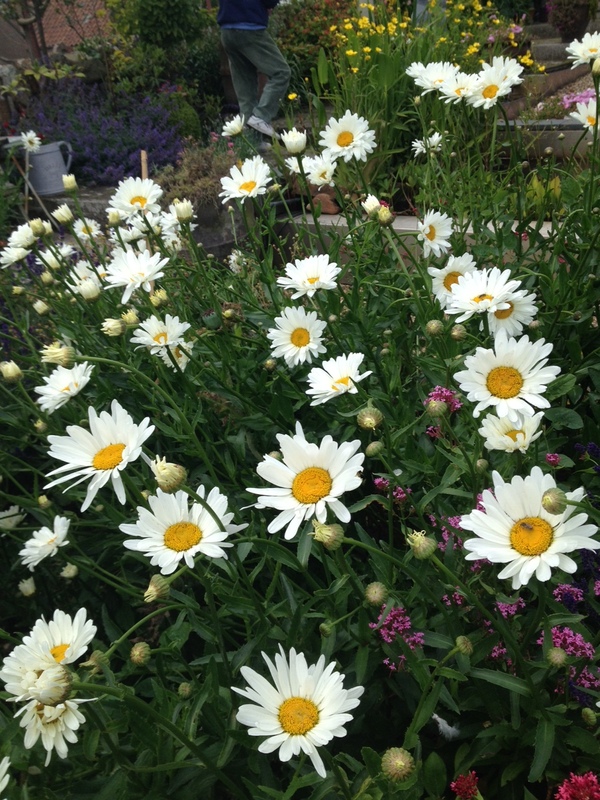 The thing I love most is the opportunity it gives you to speak directly to the people who have created, own or help run the gardens – that’s where you learn the real secrets and gain the best advice! The first of my visits was to Crail – to the ‘Small Gardens in the Burgh’ project in the east neuk of Fife. 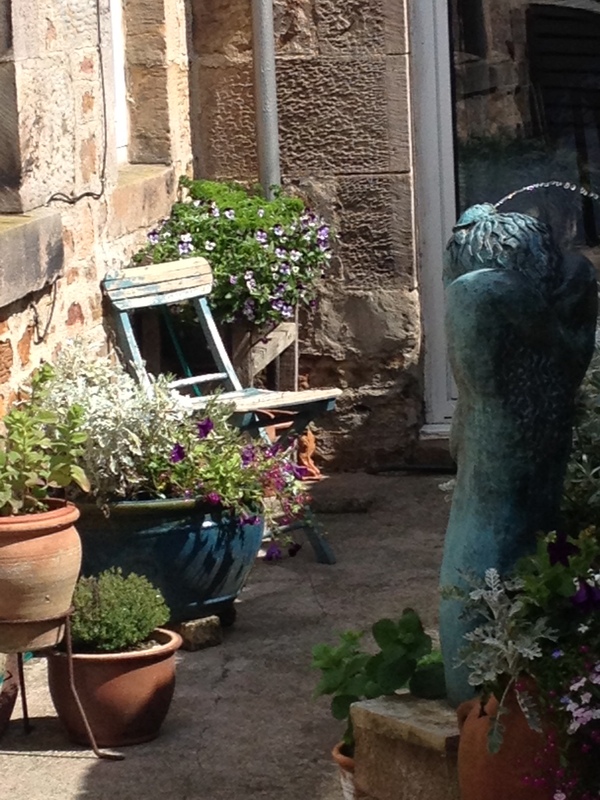 Open for one weekend a year (and very much worth the travel – if you’re considering options for 2016), this is a beautiful collection of small gardens peppered throughout the small fishing village near to Anstruther, Pitenweem and Elie. They vary in style from cottage to historic, to plantsman’s, vegetables and bedding, and each one is truly unique and captivating in its own right. I visited Crail with mum and her friend Sheena, and we had a glorious afternoon taking in the fantastic views of the North Sea and enjoying the flowers and fauna of Scotland’s east coast. It was a well-planned event with teas, coffees and cakes in the village hall. While we didn’t indulge in the catering, we did partake in some plant purchases, and now I have a very happy campanula thriving in my back garden. The small £5 entrance fee each of us paid went towards the local brownie brigade and the Crail Preservation Society, as well as Scotland’s Gardens beneficiaries. Fantastic! This weekend’s garden visit was an entirely different, but equally wonderful, experience. Much closer to home, I took a trip to Duntreath Castle which is situated a few minutes outside Strathblane as you head towards Stirling from Glasgow – the garden is open by appointment throughout the year. When I telephoned to ask if I could visit, I had a lovely conversation with the castle’s owner – Lady Edmonstone – who said she would be delighted to accommodate a visit. She said I must ring the bell on arrival and she would come and meet me. When I arrived, Lady Edmonstone had just finished serving a big family lunch, and she kindly invited me into the castle where she introduced me to everyone and arranged for a family member to personally take me on a walk around the grounds. It was a truly personal and memorable experience, and the gardens were absolutely divine. While I had a wonderful visit in July, it may be worth visiting this house in February or March, when there is apparently a stunning display of snowdrops along the side of former drive. However, I’m sure there is a great display throughout the year, and you can take a lovely little 20 minute tour which incorporates a short woodland walk and a 15th century keep and chapel. Gorgeous. I’m planning my next visit already….let me know about yours!